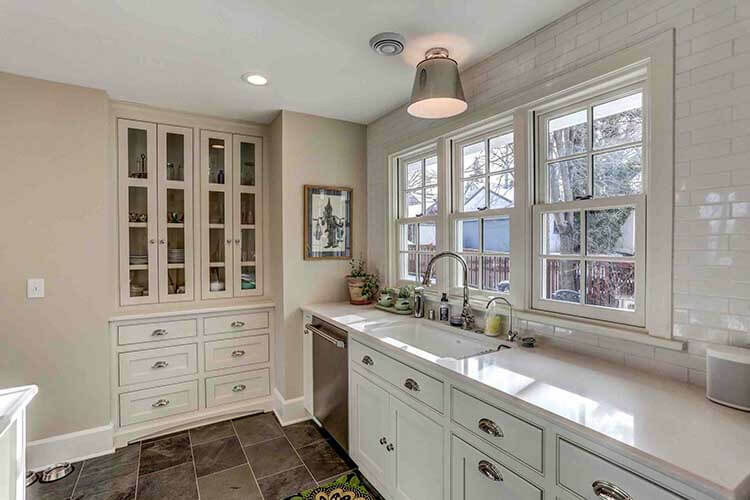 The Titus Contracting residential remodeling team recently completed a beautiful new kitchen in a historic 1900s St. Paul home. 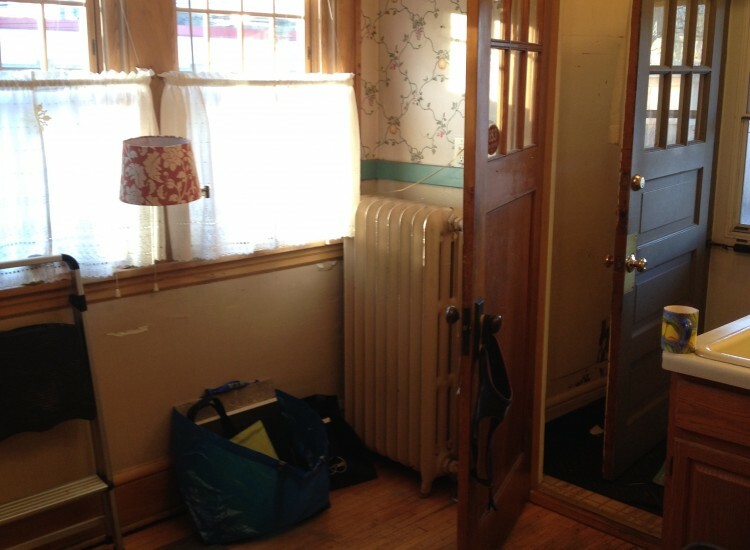 Turn-of-the-century homes present some unique challenges: walls that have shifted and are out of plumb, and floors that have sunk. We worked on all the walls and floors to ensure everything was even and looked right. We wanted to make sure the cabinets and trim had the right reveal. Titus opened up space and updated it with a fresh new look, blending modern finishes with classic architecture.The homeowners wanted to turn their outdated kitchen into an energy-efficient and more usable space, while staying true to the history of the home with specialty paint colors for historic homes. We started the project by opening up space in the kitchen. This included removing a load-bearing wall. A beam was then added in its place to support the exterior wall of the second floor. 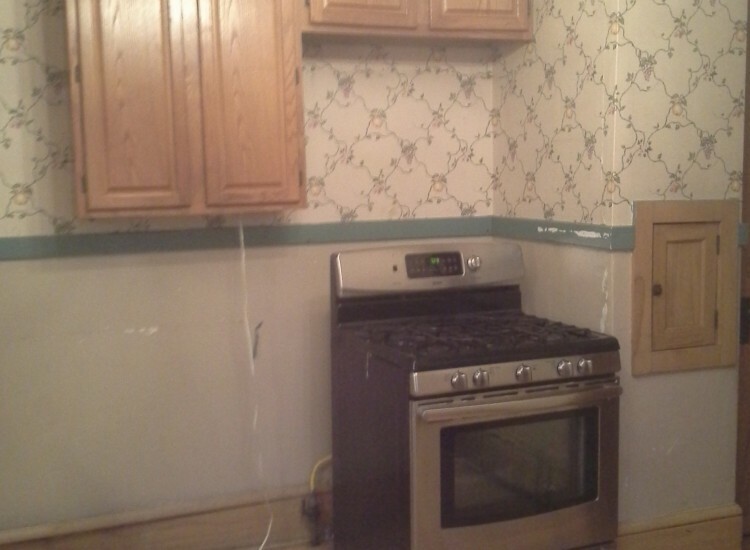 Once the wall was out, the rest of the kitchen was gutted. We removed plaster, flooring, windows, and trim. The client chose cherry Dura Supreme cabinets with a dark stain, that will continue to age beautifully, and with added character. 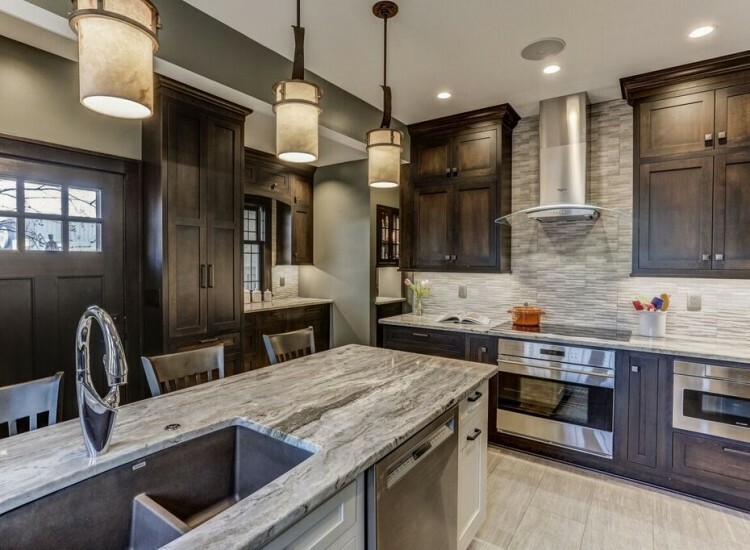 The lighter grey plank-style floor tile perfectly contrasts and compliments the dark cabinets. Other finishes include grey Cambria quartz countertops and a large-format grey tile backsplash, with a subtle raised wave texture. 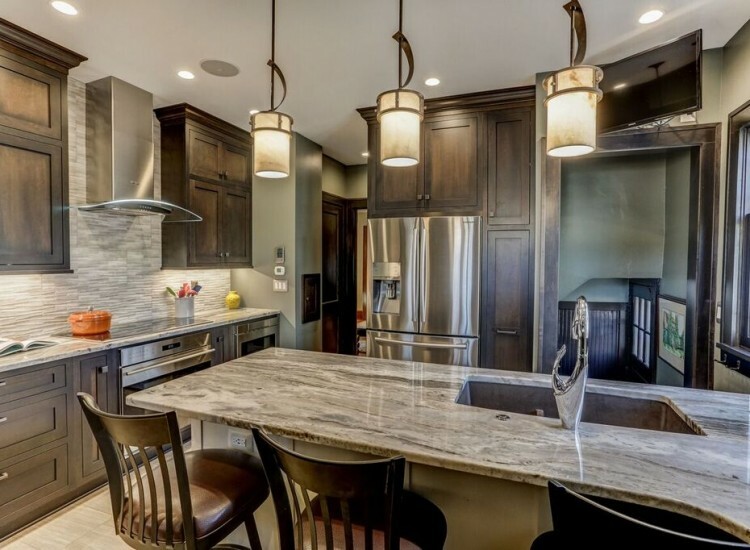 Another unique feature in this kitchen is hot water in-floor heat, which uses the existing hot water heater of the house and is controlled by its own zone thermostat. 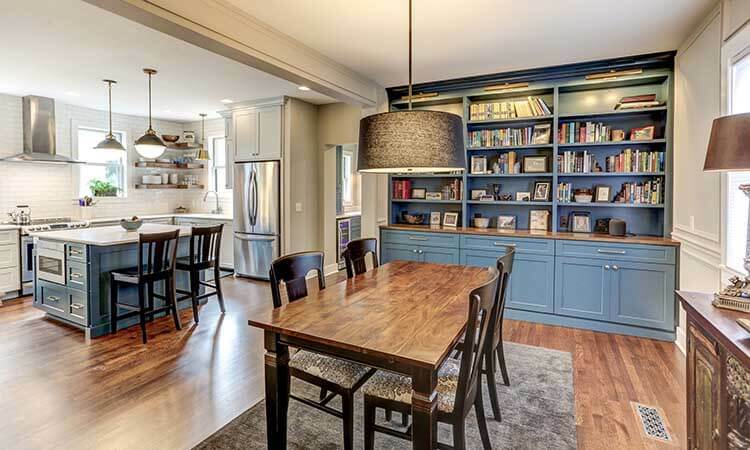 We also added a small bar area adjacent to the dining room that is perfect for entertaining. This unique area of the St Paul home’s kitchen restroation needed to be framed into the existing garage space to give it adequate depth. 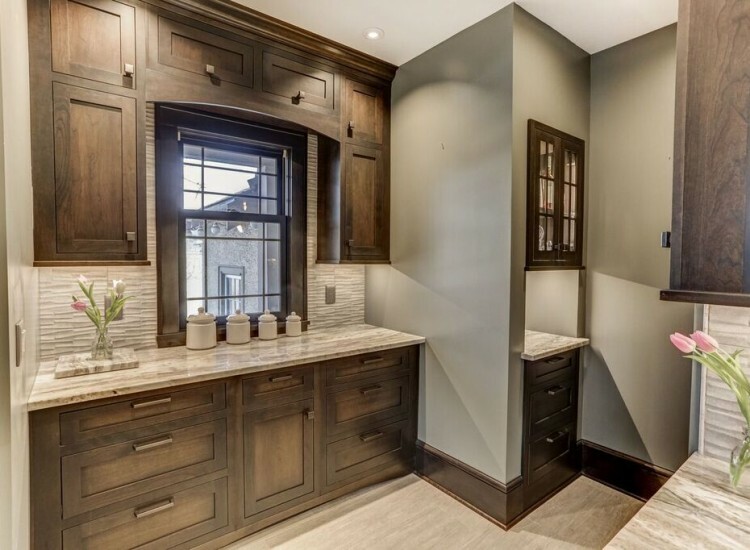 The new simulated divided light Marvin windows and inset cabinet doors help create the authentic, historical touches our client desired. 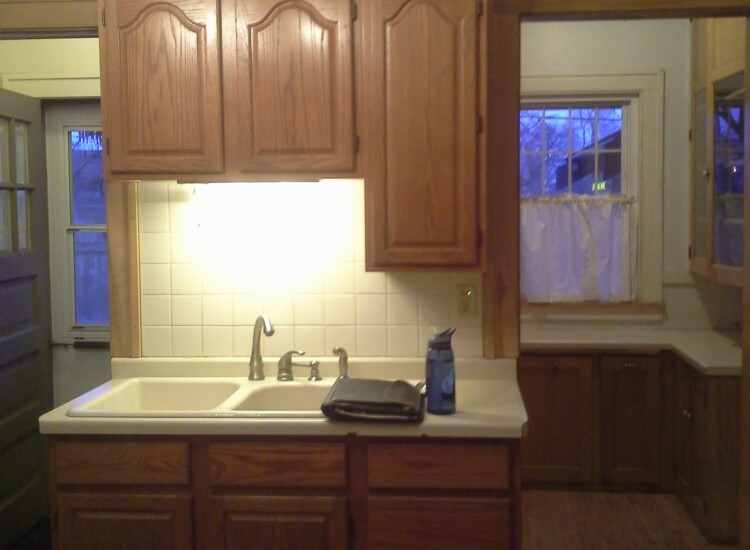 All the added trim to the kitchen was custom made to match the existing trim as well. Another important part of this kitchen remodel was making sure it was energy efficient. We used spray foam insulation throughout the space, which is a great energy-efficient alternative to traditional insulation. We installed all new electrical throughout the kitchen, including high-efficiency recessed lights, and low-energy LED under-cabinet lighting. The new windows and back door made the kitchen more energy-efficient as well. To top it off, all the new appliances were also high efficiency. 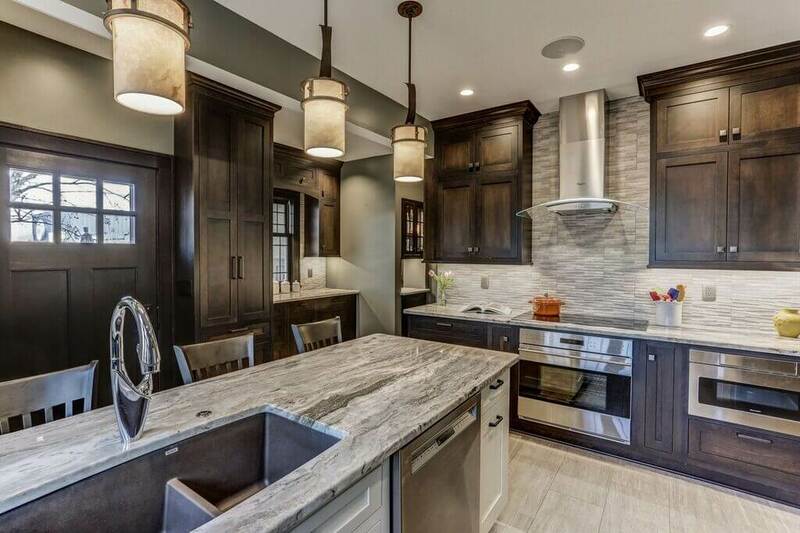 h3>Are you interested in learning more about Titus Contracting’s kitchen remodeling in the Twin Cities area? We welcome the privielge of planning with you today!